The CSUDH softball team is only halfway through its season, but has already matched its total number of wins from the 2018 season, 15. Head coach Jim Maier, the winningest head coach in the program’s history, returned for a second stint with the team in October 2018 and has the Toros right in the mix for a playoff spot this season in the California Collegiate Athletic Association. The Toros finished the 2018 season second to last in the CCAA standings, but are among the top teams in the conference this season. They currently sit in fifth place with a conference record of 13-9 and an overall record of 15-10. The offense has been clicking on all cylinders for the Toros, as they have the fourth most hits in the conference (196). They lead the conference in triples (5), are tied for second in doubles (41), are tied for third in home runs (15), and are second in runs batted in (117). Leading the offense is senior Jazmin Guzman, who leads the conference with her .464 batting average. Freshman phenom Amanda Canizales is not far behind Guzman, with her .452 batting average the third best in the conference. Senior Damari Simon has been an excellent power hitter for the Toros as she leads the conference in home runs (7) and triples (3). The pitching staff hasn’t been as stellar as the highly productive offense. They have an overall earned run average of 4.41, which is the third highest ERA in the conference. Freshman Ashley Wies leads the Toros pitching staff in wins (7-5) while posting the lowest ERA on the team for a starting pitcher (4.20). She also leads the team in strikeouts with 47 on the season. The Toros are coming off a tough series at home against the top ranked team in the conference, Chico State. The Toros managed to win one game out of the four-game series, winning the lone game by a score of 3-1. Up next for the team is a four-game series up north in the Bay Area against San Francisco State (10-10 conference record, 13-10 overall) with a doubleheader being played on Friday March 22nd and a doubleheader on Saturday March 23rd. Over spring break, the Toros will be traveling to the city of Turlock to participate in a tournament hosted by Stanislaus State, which begins Friday March 29th. 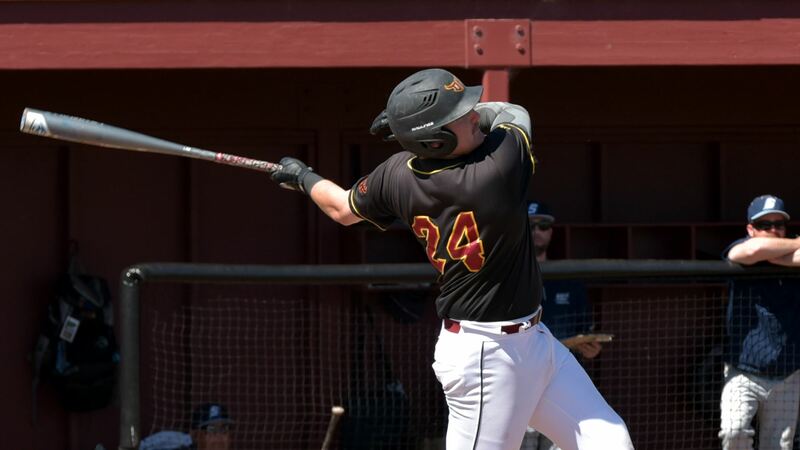 The Toros baseball team is fighting for a spot in the California Collegiate Athletic Association playoffs as they are midway through their season. They currently sit one game back from Sonoma State, who hold the final playoff spot. The Toros have a conference record of 8-12 and overall record of 9-13. Overall the team is batting well, posting a .297 batting average, the third best average in the CCAA. The team is second in the conference with 16 home runs and fifth in hits with 223. Leading the Toro offense are junior third baseman Jose Jimenez (.397) and junior first baseman Pierson Loska (.382), who lead the team with the highest batting averages and rank among the top 10 in the conference. Loska has been a spectacular power hitter for the Toros as he leads the conference with 10 home runs, 36 runs batted in, and a slugging percentage of .787. Junior pitcher Connor Dreyer has been an excellent relief pitcher for the Toros, making 10 appearances and posting an earned run average of 2.70. Sophomore Tristan Garnett has been strong as a starting pitcher for the Toros, going 3-2 while leading the team in strikeouts with 25. The team is coming off a four-game series where they played Sonoma State at Toro Field, winning the first three games before dropping the series finale. Although they dropped the final game, they were able to gain ground on the final playoff spot. Up next for the team is a four-game series against the top ranked team in the conference, San Francisco State (10-1 conference, 12-1-1 overall). San Francisco State has yet to lose at home, posting four wins and a tie. The Toros are 3-7 when they play on the road. The first game is set for Friday March 22 at 3 p.m. The next home series for the Toros will be against Cal State Monterey Bay, with the first game if the four game series scheduled for Friday March 29 at 3 p.m.